Some MORE Medical Treatments to Avoid like the Plague! 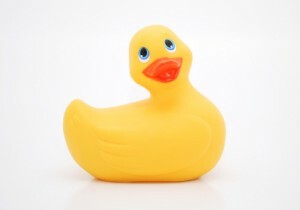 We hope you enjoyed our Toxicological Quackery Part 1 blog posted earlier this month. In Part 2 we will continue by giving more procedures that you should definitely avoid due to potential for serious injury. Amygdalin is a chemical derived from various pits and seeds such as from the apricots, peaches, applea, cherries etc. For many years this chemical has been reported to prevent and treat various cancers as well as AIDS, arthritis, cardiovascular disease, and multiple sclerosis. Amygdalin is a natural source of cyanide, which scarcely needs mentioning, is something that is potentially dangerous. Several case reviews and studies have found no benefit of amygdalin for the treatment of cancer in humans. The FDA is conducting an ongoing crackdown of illegal sales of these products which offer a false hope for a cancer cure, which only delay more effective conventional therapy. Clinical effects of cynaide exposure which may be potentially fatal include: seizures, irregular heart rhythms, nausea, vomiting, headache, dizziness, coma and respiratory failure. Sodium bicarbonate is something you may recognize as baking soda which is safely used as a food additive, cleaner, and odor absorbant. Some alternative medicine practitioners advocate that a common yeast called candida is the cause of all cancers. They believe that making the body more alkaline (basic) by adminstering baking soda by ingestion or injection thwarts the growth of this fungus. Excessive bicarbonate intake is associated with complications such as high blood sodium, low blood potassium and calcium, vomiting, confusion, muscle cramps and paralysis, irregular heartbeats, seizures, coma and even death. This potentially deadly procedure involves the ingestion or intravenous injection of diluted “food grade” hydrogen peroxide (30-35%). This product is ten times more concentrated than the hydrogen peroxide USP 3% antiseptic you might stock in your medicine cabinet. Medical conditions reported to be cured or improved via oxygenation therapy include: arthritis, HIV and other infections, cancer, diabetes, multiple sclerosis, etc. Gastrointestinal: Severe burns, ulcerations to the mouth, throat, and stomach, extensive bloating, perforation, and bloody vomiting. Used as an enema can lead to tissue destruction and gangrene in the large intestine. Systemic: Oxygen gas bubbles, also called gas emboli, may form in blood vessels and cause seizures, stroke, irregular heart rhythms, liver injury, lung damage and drop in blood pressure. Once again, if you think someone has been exposed to a known or suspected harmful procedure involving a potentially toxic agent or substance, please call the Illinois Poison Center at 1-800-222-1222. Be careful. Be healthy.